There really aren't very many products with a second (or high) series anymore. I'm glad Upper Deck's flagship product is done in this way. It's definitely a throwback to how things were done in the past, but more than that, it serves a functional purpose as well. The set gets updated with players who have changed teams, and includes rookies not included in the first series. Bottom line is: Upper Deck Series 2 has always been a great idea! If you want my comprehensive review of the base cards, feel free to re-read my review of Upper Deck Series 1. The base cards in both series 1 and 2 are exactly the same (which is reflected in the overall base card design score below). 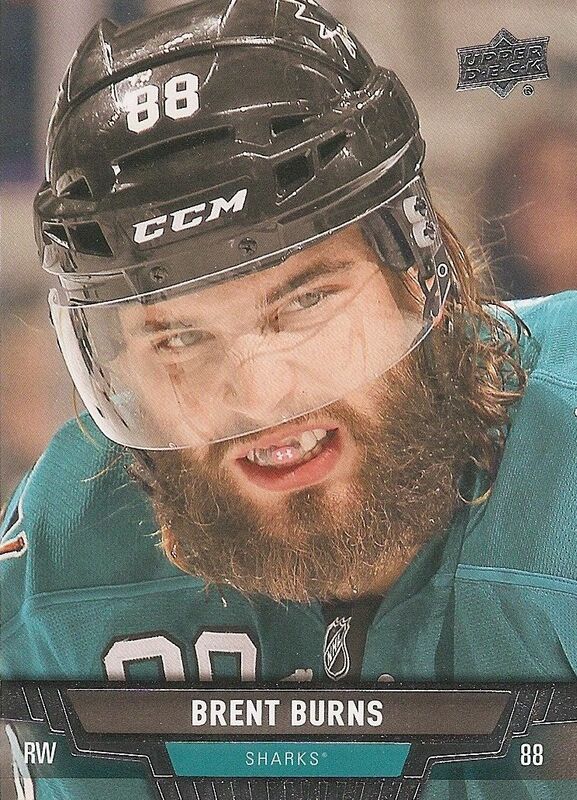 As you can see from the Brent Burns base card above, Upper Deck's photo quality is excellent. UD2 is loaded with close-up photos, action photos, and all sorts of unique images. You would be well served to just purchase UD2 to get a good retrospective of what has gone on during the hockey season. The box of Upper Series 2 tells you to complete the 13/14 Young Guns collection, and I'm sure many collectors will do just that. The Young Gun set is a nice challenge to complete, but can be done by just about anybody. It is definitely worth acquiring these Young Guns as you'll never know who may have a break out year in the future! Upper Deck Series 2 boxes are loaded with updated content... and not just from the standard Series 1 either. Collectors will find updates to other UD brands within Series 2 a well. 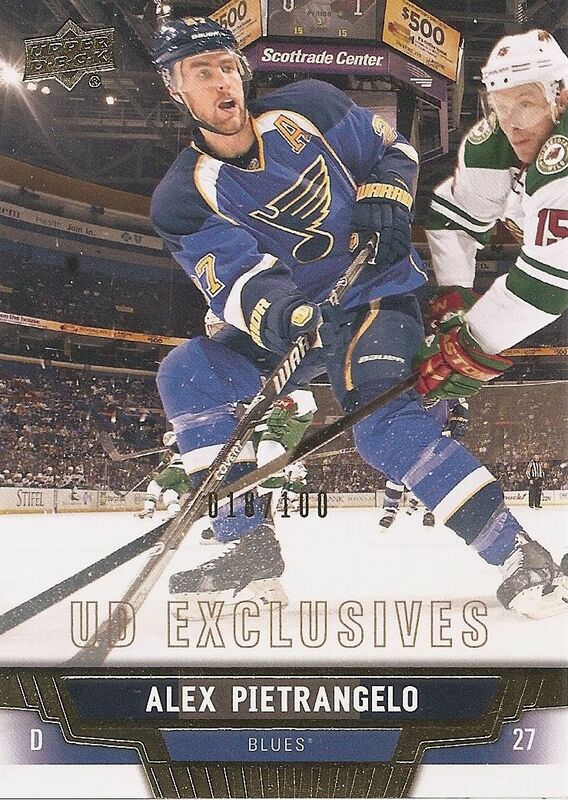 For people looking for hits, UD2 will come with 2 memorabilia cards per box. Rarer insert cards can also be found as well. 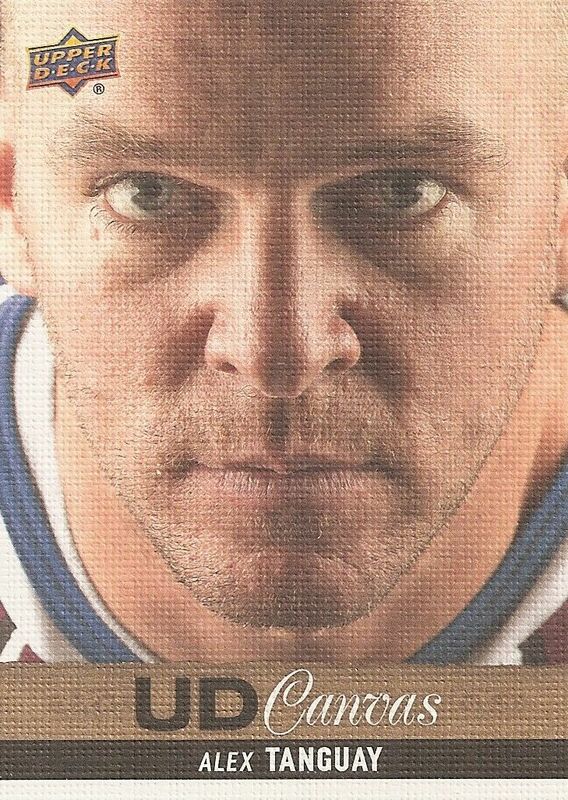 Making a return are the UD Canvas cards. I mentioned in the Series 1 review that these cards up the photographic game even further than the base cards. I found this Alex Tanguay photo to be particularly striking. It might be a bit too edgy for the standard series, but is put to good use with these Canvas cards. Canvas Young Guns should again be extremely popular with Series 2 enthusiasts. Returning again are the standard UD Game Jersey cards. Though these cards do not hold much value, I am glad to see that Upper Deck states that the memorabilia enclosed is game-used. Most collectors will only find one of these cards per box. 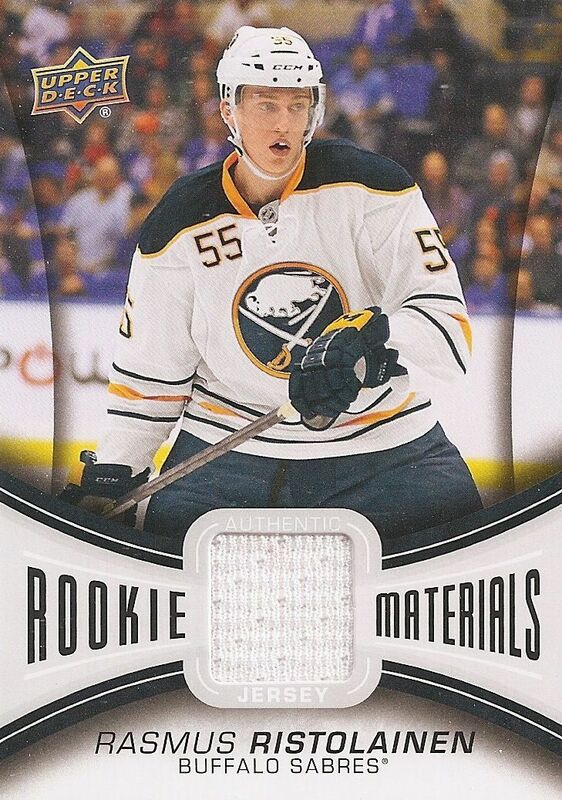 The other jersey card collectors will find will be from the Rookie Materials set. Unfortunately, but totally understandable, the cloth enclosed is stated to be from an event rather than a game. This is pretty standard with rookies as they participate in a lot of rookie exclusive events before the season begins. The Rookie Materials set does't stand out in any significant way, but the design is clean. Collectors looking to add more cards of a particular rookie this year would do well to pick up a copy of these cards. UD Exclusives are numbered 100 and feature gold foil and a special 'UD Exclusives' print. Exclusives have shown up for many years now and create a challenge for player collectors. It's a fun rainbow to collect as there are only a few cards to chase, unlike a certain other companies parallel output. MVP and OPC have updates in Series 2. The OPC rookie cards come in both the standard version shown above and a retro version. For those who collect the OPC set, these cards add more cards to the already gigantic offering. 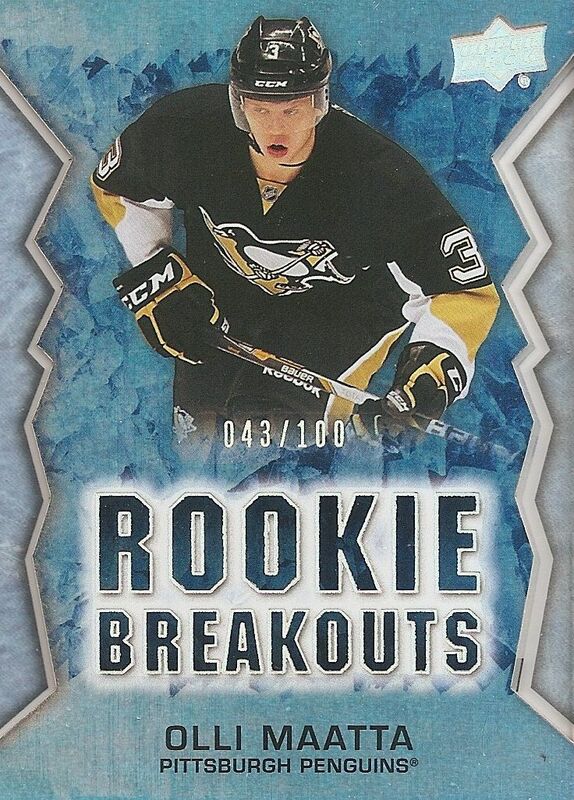 The most unique card from my box was this Rookie Breakouts card of Olli Maatta. It's actually a very beautiful card made from both acetate and foil printing techniques. This particular copy is numbered 43/100. Speaking of acetate cards, Young Guns now come in super short printed acetate variations that are commanding a large amount of money each. Be on the look out for those and other cards only found in Upper Deck Series 2 this year! 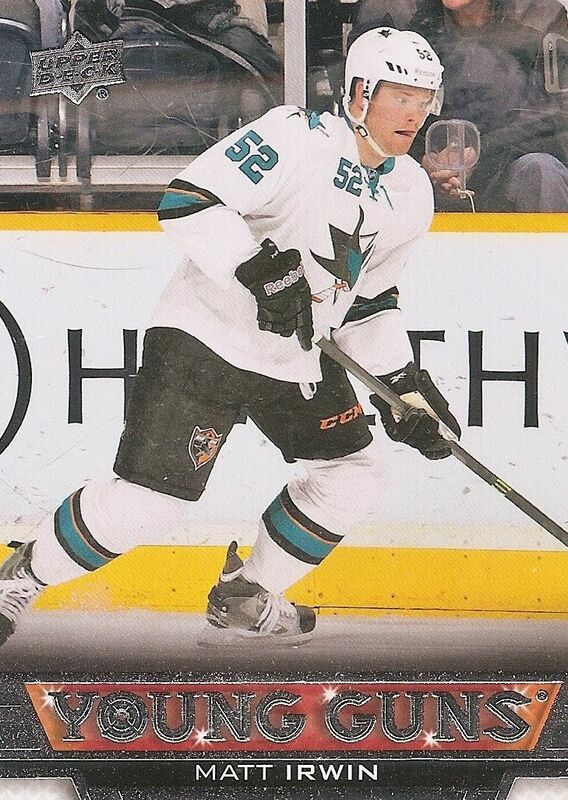 Upper Deck Series 2 is a product that every hockey card collector must get their hands on. It's affordable, well-made, and collectible. The flagship brand continues to be consistently good. If you're into rookies, Series 2 may not have the biggest Young Guns to find, but rookie content is aplenty here. Because Upper Deck has decided to update many brands through UD2, it has become a very fun break. Each pack of UD2 will get you 'something' - from OPC base cards all the way to UD Signatures and on to Young Gun acetates. I definitely recommend getting your hands on Upper Deck Series 2 this year. Don't miss out! Always look forward to your hockey box breaks, this was a nice box, full of nice content. i like the box. good job! Nice Maatta! Great box overall! Haven't seen a bad box of this yet! Upper Deck did it again. I love it like always. Series 2 this year in my opinion is one of the best possibly ever. They didn't overload Series 1 as much as I thought they would. There are a number of big rookies still available in series 2. There are also a number of big name canvas young guns left. Every pack has something which is fantastic, the 90's hockey heroes I will assume is the last we will see of that subset so it will be very interesting to see what Upper Deck comes out with for that. The rookie jersey cards this time are fantastic. The design is unique. I know it is just a jersey card but it is just stupidly loaded. Looking forward to seeing you bust more of these boxes. I think series 2 is better than series 1. 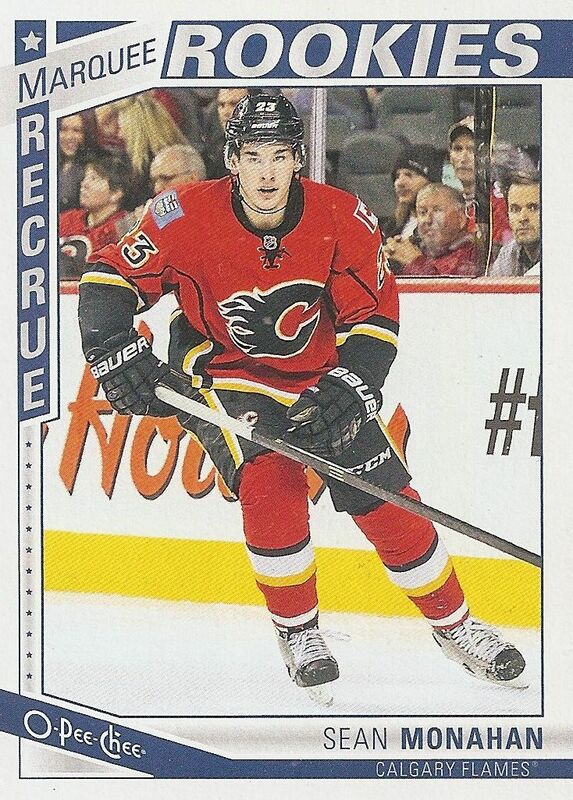 Also nice Sean Monahan rookie card. Two cards from Määttä and RR55 jersey card equals great box. + The acetate cards looks very nice with the foil on them. - Since UD took the decision to put all the better Young Guns in series 1, series 2 is not that exciting to me. Upper Deck series 2 is always nice product and it always looks nice. Hits aren´t so big but nice looking. Great break -- I sorta agree it would've been a nice idea putting each draft class in a specific series. I've noticed you seem to be getting a lot of Mrazek too! Haha. I love Upperdeck! Nice Maatta! Your reviews are always great! Im glad that series 2 has extra insert sets to compensate for less high profile rookies. Great box break! I especially love how upperdeck is incorporating cards from there other sets into this hoping to give there fans an all new take on upperdeck. EPIC Olli Maatta card great pulls! Both Series 1 and Series 2 were massively produced this year, which I really hate because the young gun price is very low. But overall series 2 is a better product, with more variety and better hits to pull. like series 2 better i think the yg are awesome i got 2 barkov yg already. i like the jerseys and some of the numbered cards. Nice Maata hit as well as the monahan is nice! 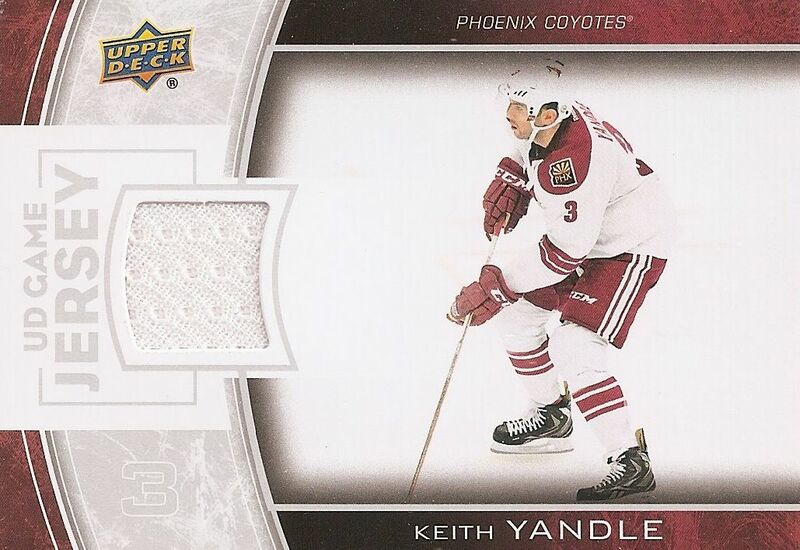 Too bad upper deck put almost all the good young guns in series 1.
thanks for the review. I think that series 2 is way better than series 1. Something I don't get is how you keep getting Petr Mrazek cards but i cant get 1. I like series 1 better because there is no o pee chee cards. I like the product but should be like series 1. Understandable review.